Prior to the Davis symposium, some Bicicultures Roadshow participants will be in Los Angeles for the Association of American Geographers conference happening there from April 9-13. We have planned a few special events for researchers interested in L.A.’s bike community. The L.A. Eco-Village intentional community was founded as a response to the Civil Unrest that shook south and central Los Angeles in 1992. Since 1994, it has been a meeting ground for activists working in the sustainability and social justice movements in L.A., and has been home to the founders of L.A.’s Critical Mass, the Los Angeles County Bicycle Coalition, the Bicycle Kitchen, CicLAvia, and other bike projects. Email lugoa@uci.edu if you plan to join us for the tour. Bicicultures organizer Adonia will lead a ride that shows some of the ups and downs of biking in L.A. Email lugoa@uci.edu if you plan to attend. Limited bikes available. Come join us for an experimental event where participants in the Los Angeles bike movement will create a group ethnography. We will reflect on the history and future of bicycling in a famously car-dominated city, using oral history as a tool for understanding social change. 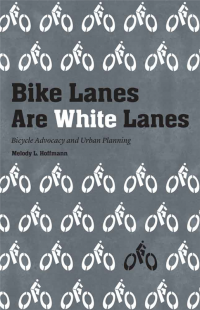 Rather than producing a definitive history of L.A.’s bike movement, the outcome of the event will be a website (http://labikemvmt.org/) where different narratives and timelines are available to researchers, advocates, and members of the public. The event will be facilitated by Ron Milam, a former ecovillager and the founding executive director of the Los Angeles County Bicycle Coalition. Sponsored by the Center for Ethnography at UC Irvine. 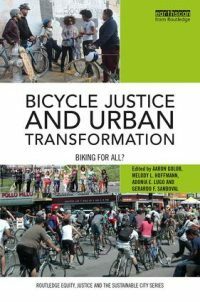 As part of the AAG conference, Bicicultures scholars will present papers on bikes and change in the Bunker Hill room at the LA Hotel. Click through for panelists and abstracts for Session I and Session II. Many thanks to the Center for Ethnography, the Community Knowledge Project, the L.A. Eco-Village, and Vincent Sauceda.